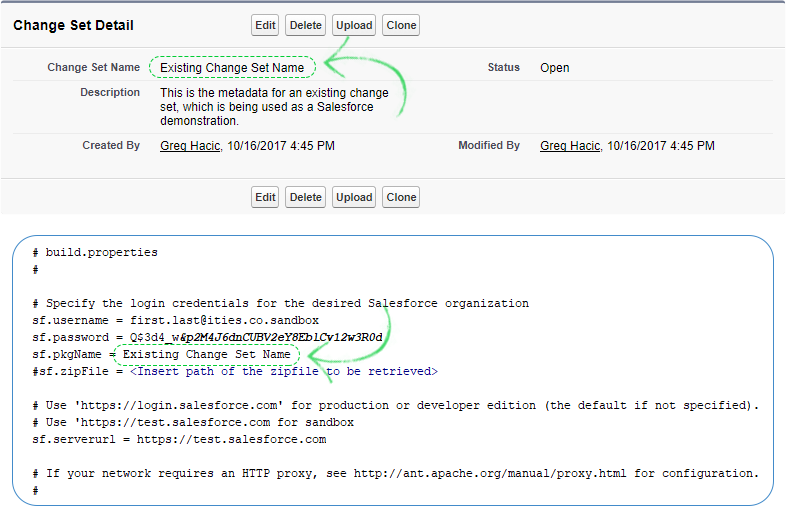 Salesforce developers and administrators have a number of options available for deploying changes between Salesforce organizations. I've worked with a number of businesses that prefer the use of change sets. Most often their preference is due to the fact that there is some comfort with the ability to see all of the metadata items that a given change set contains plus the interface is natively point & click. The major downside to change sets is the time it takes to create a new one. Point & click is certainly nice but the interface is slow and, if there are many different metadata items, the process can be time consuming. Another major issue with change sets is that there is currently no native way to clone an inbound change set in order to create a new outbound change set. What if you are on a Salesforce team that requires migration of changes from a developer org to a full sandbox org before ultimately being moved into a production org? That's certainly good strategy but the process itself can be less glamorous. You literally need hours to simply handle the change set creation and comparison to ensure that nothing is overlooked between your org migrations. 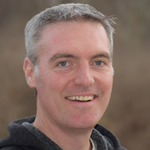 For those adventurous (or comfortable) enough to use the Force.com Migration Tool, there is a way to reduce the amount of time it takes to create a new change set from an existing one. Based upon my assumptions, you should already have a directory setup where you have been working with the Force.com Migration Tool. Make sure you have a folder named "retrieveOutput" in the directory. 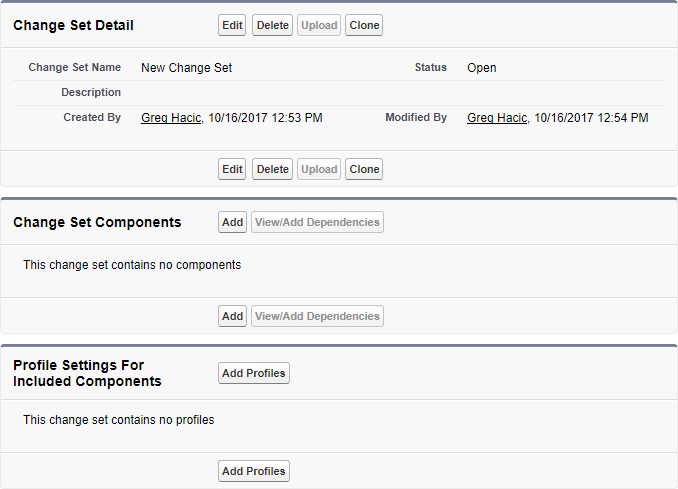 Edit the build.properties file so that the sf.pkgName is uncommented and the name of the change set is the value. 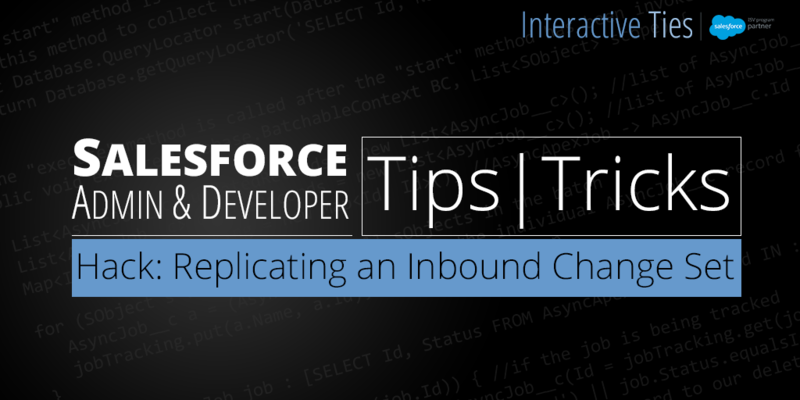 Manually create a Change Set in your Salesforce Org via the user interface. Setup > Deploy > Outbound Change Sets > "New Change Set"
As a truly last step you may want to comment out the sf.pkgName variable definition from the build.properties file just to prevent any problems the next time you use Ant. Anyway, I hope you find this information useful. This hack is worth learning. It will save you so much time.